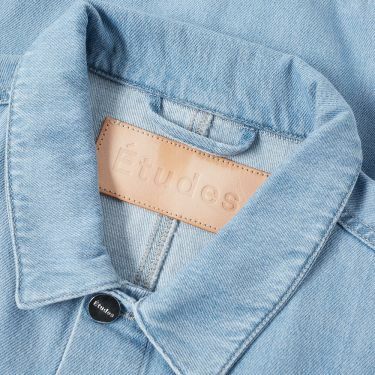 Études offers something truly unique within the current menswear market. The combined vision of creatives based in both Paris and New York, the label reflects the contemporary in which we find ourselves, putting forward a collection that is uniquely theirs. 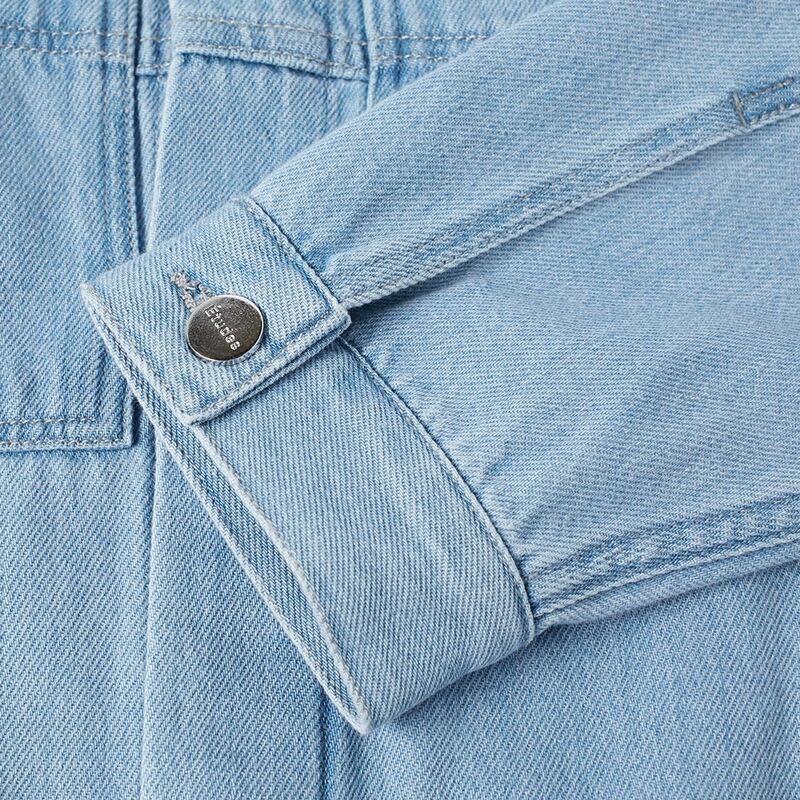 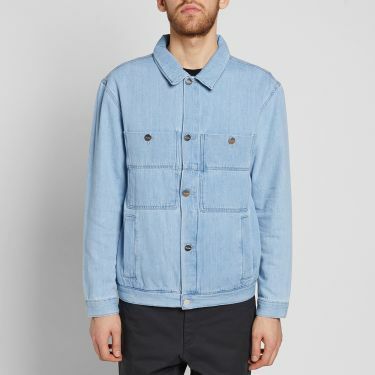 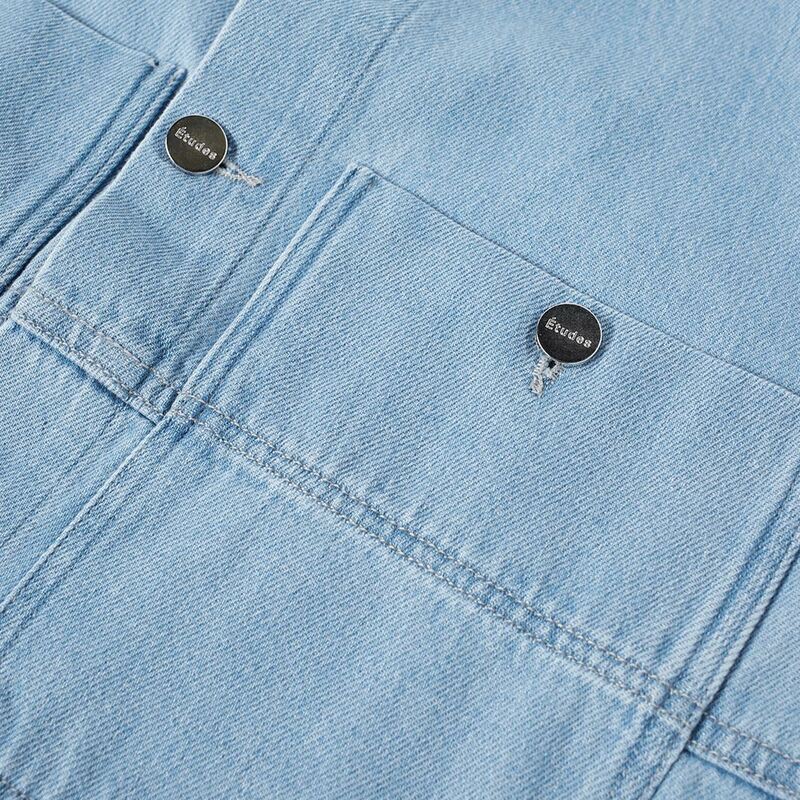 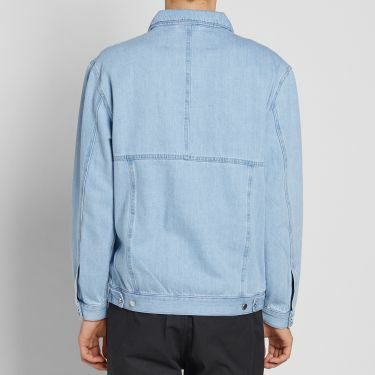 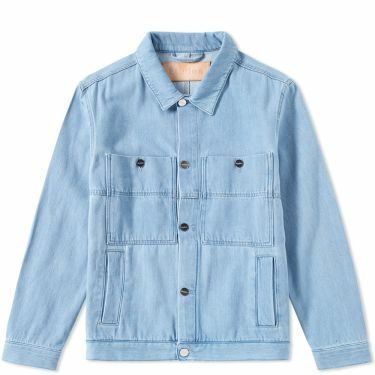 For the Guest Denim Jacket the label looks to traditional workwear silhouettes for inspiration. 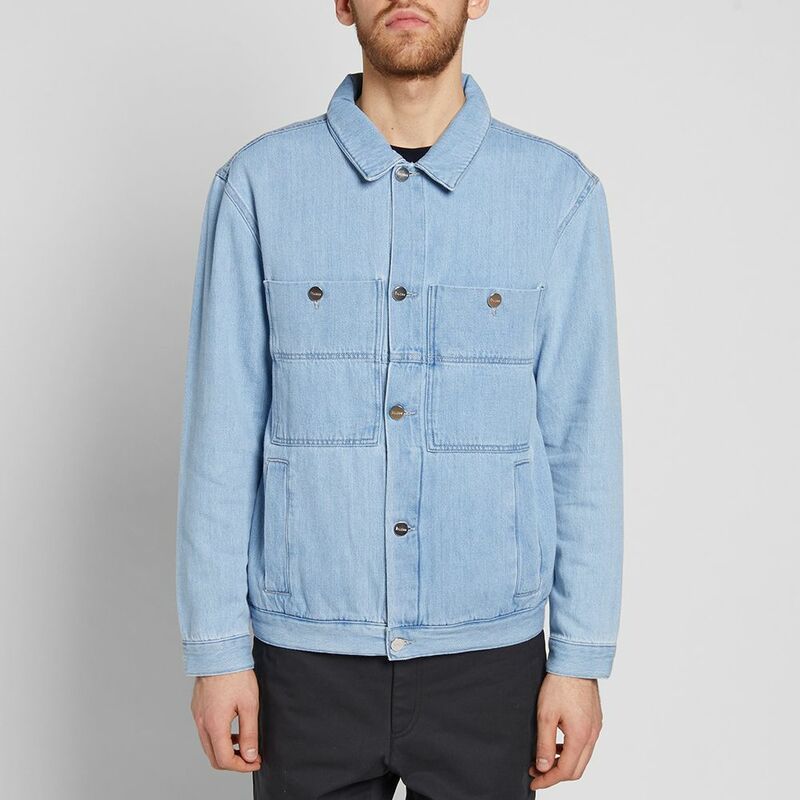 To the front of the jacket sits two large square patch pockets, along with a set of handwarmer pockets beneath. 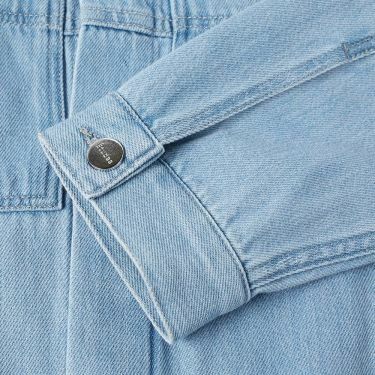 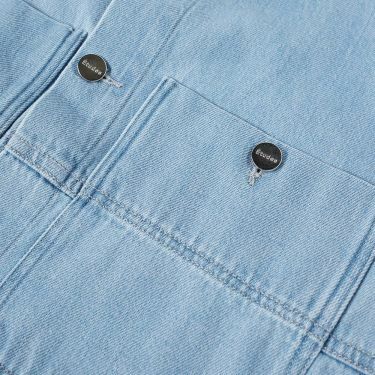 An adjustable tab to either side of the jacket allows for the shape to be customized whilst embossed metal buttons throughout add in the label's branding with subtle flare. 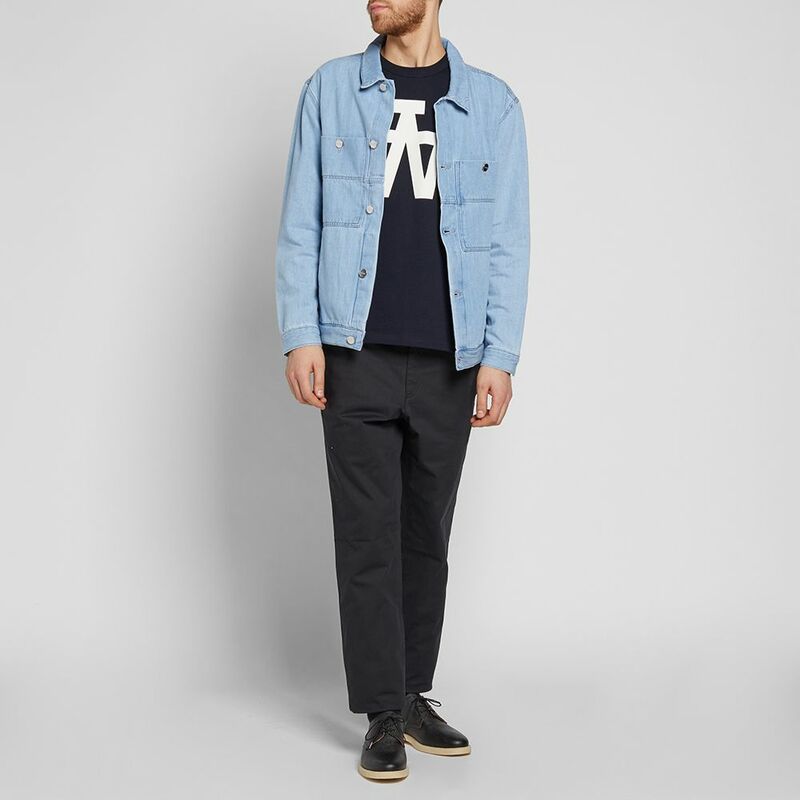 Model is 6'2"/189cm with a 35"/ 88cm chest and wears size 50.